Modernisation of a livestock farm enabled to improve its business competitiveness and align the farm with Latvia's national environmental standards. Up until 2008 the farm had been keeping cattle in old Soviet-style livestock housing but it was difficult for these units to meet the modern environmental standards. The old cattle barns were also not very cost effective being expensive to operate and maintain. As a result, options for further growth of the farm business were restricted and so the farm prepared a development plan to build a new and larger livestock shed which would be more business-efficient and better for the environment. The RDP project provided co-finance to help the farm realise its business plan which was based on goals to: i) increase the productivity and numbers of livestock; ii) increase profitability of the farm; iii) decrease environmental impact by collection of sewage and groundwater from livestock and milking compartment into liquid manure basin; iv) provide quality products to suppliers. Works included investments in new dairy facilities which incorporated modern milking machinery, more space for additional cattle, energy-saving equipment for drinking water cooling systems, and better welfare conditions for the animals. 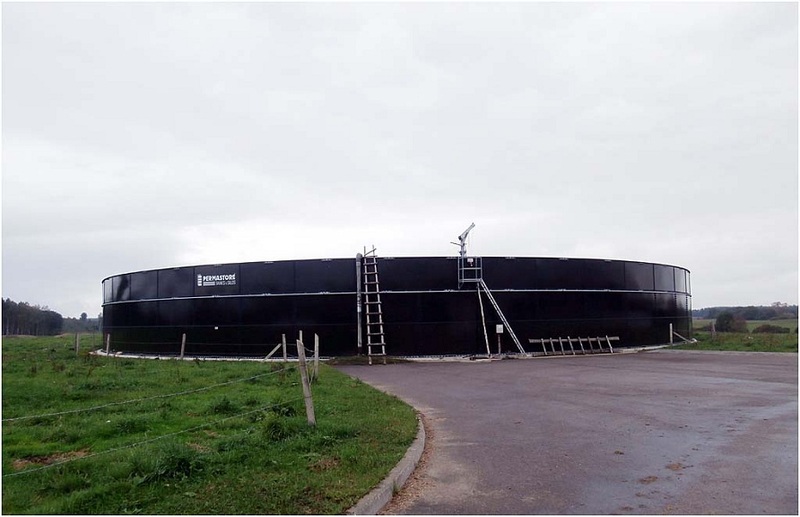 Manure management system involved constructing a liquid manure storage basin (with 7 months reserve) and a pipeline system for transporting the manure. Equipment for spreading liquid manure (for soil fertilisation purposes) was also funded. Project results include: i) livestock numbers increase by 300%, now consisting of 700 cattle in total (350 of which are dairy); ii) milking productivity per cow increased; iii) employees productivity increased, larger number of duties per employee carried out; iv) reduction of environmental risk from manure spillage; v) availability of liquid manure for use in fertilising the farm's 1300 ha of agricultural land; vi) profit margins increased. A number of important elements arose from the implementation of the project: i) hold to the agreed time plan and allow only for minor adjustments; close monitoring of the work in progress is important; ii) choosing suppliers for construction work with a good reputation and solid project portfolio is essential; iii) choosing equipment suppliers with regional presence, within close distance, which is especially important for servicing the equipment and urgent repair works.